The manufacturer’s maintenance schedule for many automatic transmissions doesn’t call for fresh fluid until 100,000 miles. A lot of mechanics may say that is too long and it should be done at least every 50,000 miles. Manual transmissions may be on a different schedule, so it’s best to consult the maintenance schedule in the owner’s manual. If you do a lot of driving under high-stress conditions, you should check the transmission level more often and have a repair shop check the condition of the fluid. Transmission fluid often is red but can come in other colors, and as it deteriorates it tends to turn darker. It may also acquire a burned odor that could indicate it needs to be changed or that the transmission is developing mechanical problems. Another indication it needs changing is dirt or other debris in the fluid. When you take your vehicle in for an oil change or other routine service, the repair facility may urge you to pay for a transmission-fluid change or flush. Even if they can show you that the fluid is darker than original, that might not mean you need fresh fluid right now. Step back, check the maintenance schedule in your owner’s manual and see what the manufacturer recommends before you decide. 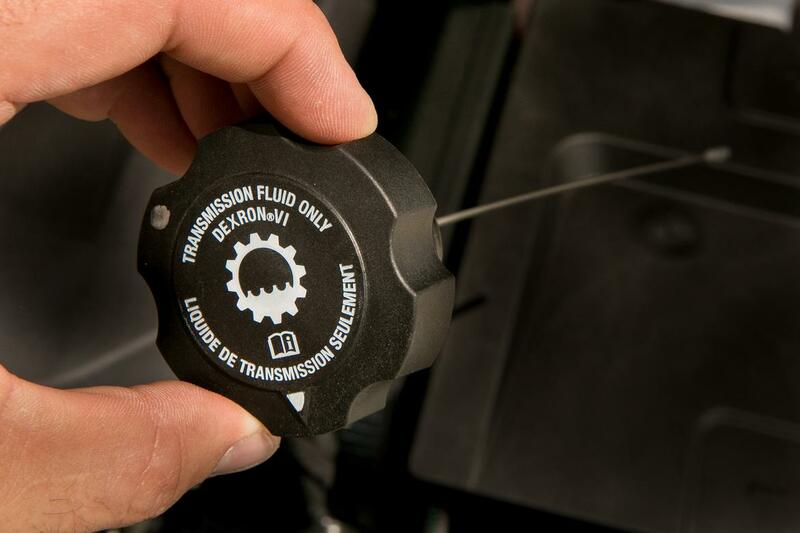 If you have never changed the transmission fluid in your vehicle and have more than 100,000 miles on the odometer, should you change it now? We have seen mixed opinions on this, with some mechanics suggesting you should just leave well alone if you aren’t having shifting problems. Adding fuel to this theory are stories about older transmissions failing shortly after they finally received fresh fluid. Fresh fluid is not a cure for gears slipping, rough shifting or other mechanical problems, so don’t expect a fluid change to be a magic elixir. Next Next post: Should the antifreeze/coolant be changed?